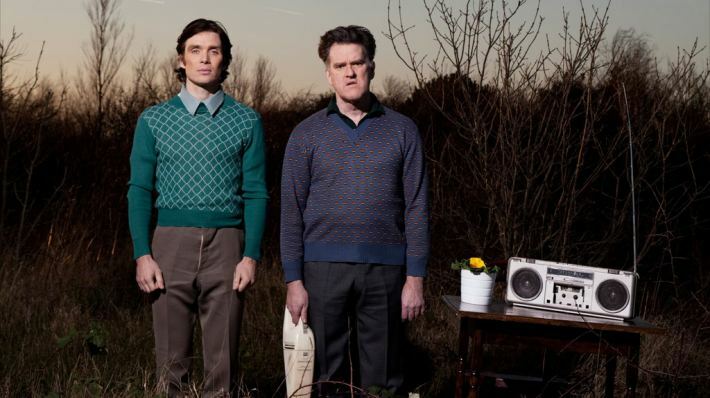 “Ballyturk” is the new play by the acclaimed Irish playwright Enda Walsh, a bitter-sweet comedy telling about the lives of two man unraveling quickly over the course of 90 minutes. Where are they, who are they, what room is this and what might be beyond the wall?. These are some of the questions embodied in this work which will be premiered on on 14th July in Galway, during the Galway International Arts Festival, featuring Cillian Murphy, Stephen Rea (both of them starred in the smashing film by Neil Jordan “Breakfast on Pluto”) and Mikel Murfi. A bright cast of artists along with a suggestive music which will be composed by the genius Teho Teardo and will be also turned into an album. Later the play will be staged from 11th September to 11th October 2014 in London at the National Theatre. A not to be missed happening to enjoy the work by vibrant artists. “Ballyturk” è la nuova pièce teatrale dell’ acclamato commediografo irlandese Enda Walsh, una commedia agrodolce che racconta le vite di due uomini che vanno a rotoli nel corso di 90 minuti. Dove si trovano, chi sono, quale stanza è quella e cosa potrebbe esserci oltre il muro? Questi sono alcuni egli interrogativi racchiusi in quest’ opera che sarà presentata in anteprima il 14 luglio a Galway, in occasione del Galway International Arts Festival, di cui saranno protagonisti Cillian Murphy, Stephen Rea (entrambi protagonisti della formidabile pellicola di Neil Jordan “Breakfast on Pluto”) e Mikel Murfi. Un brillante di artisti insieme alla suggestiva musica che sarà composta dal geniale Teho Teardo e sarà anche trasformata in un album. Successivamente la pièce sarà messa in scena dall’ 11 settembre all’ 11 ottobre a Londra presso il National Theatre. Un evento imperdibile per apprezzare l’ opera di vibranti artisti.